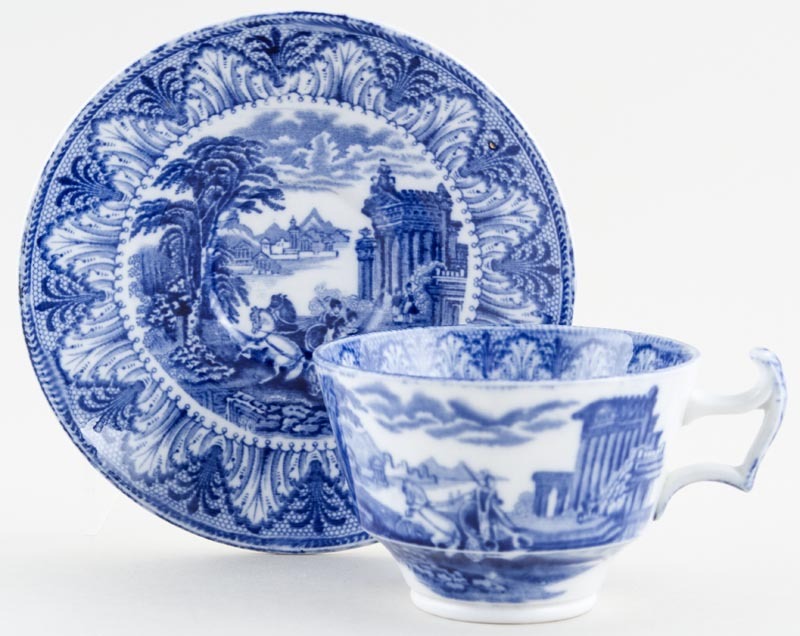 Lovely cup and saucer, the cup with delightful scroll handle. Backstamp: Cauldon England. Saucer has a little light crazing otherwise excellent condition.